After a rather long wait Insta360 have released a big update to their Insta360 Studio desktop software which will now allow you to edit your Insta360 One X video. 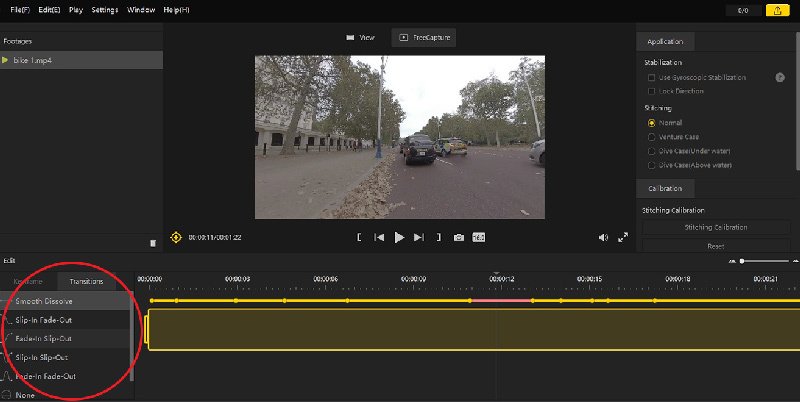 Previously the desktop software was limited to stitching and previewing your One X video but this latest updates adds the ability to re-frame your 360 video using keyframes. Up to now this has only been possible using the Insta360 One app. 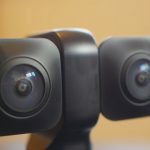 In this post I’ll show you whats new with the Insta360 Studio and how to use it to edit your 360 video. You can download the latest Studio version here. The Insta360 Studio is designed to work with the Insta360 One X but can also be used with video shot with nearly every other 360 camera. The only exception is that it will not work with video shot with the Rylo camera, probably because it shoots higher than 5.7K resolution. This is the screen that you’ll see when you open the Studio and open a 360 video from the One X. Click on the “Freecapture” tab at the top of the screen to access the editing options. Tip: You can edit videos shot with cameras other than the Insta360 One X using the Studio software. I don’t have an exhaustive list of cameras that it works with but I’ve tried other 5K cameras like the Yi 360 VR. 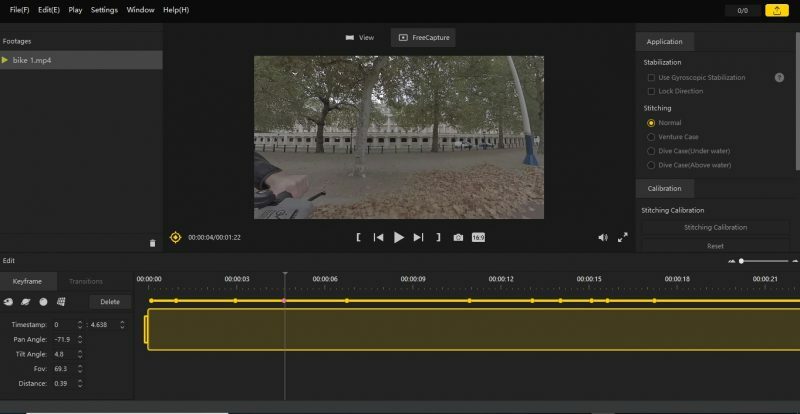 The Yellow bar represents the timeline of your video while the yellow line with dots represents your keyframes and transitions. You add a new Keyframe by clicking the yellow button on the bottom left corner. All you need to is drag the preview screen to a position where you want your camera to be facing at that moment and click the keyframe button. You can also adjust the position using the keyframe controls but I find it easier to just drag the screen. You can select pre-set keyframes such as this tiny planet view. It’s a quick way to go from one view to another without having to move the camera . Another important area you can control is the transitions between each keyframe, which is essentially how smoothly or quickly the camera pans from one keyframe to another. 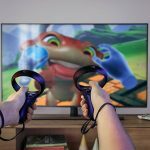 It’s important to test these out as it really impacts how natural the camera movements look. The Insta360 Studio is easy to use but fairly basic. It lacks some of the more advanced features found in the App and I personally think you can achieve better video using the App. One of the key features missing from the desktop app is the ability to change the speed of the video, which is one of the best features of this camera in my opinion. You can still get a decently re-framed video using the Insta360 Studio and its great that you can use it with other cameras, but for more advanced editing you’ll need to use the phone app or better yet, Premiere Pro.